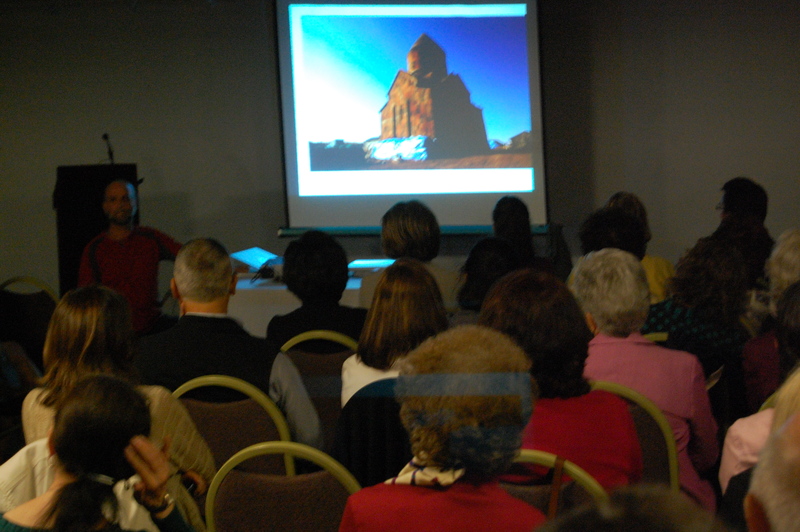 Some 100 people gathered at the Eastern Diocese of the Armenian Church of America on Thursday evening, September 13, 2010, took a photographic journey across Western Armenia through the eye-opening images of photographer Hrair Hawk Khatcherian. Featuring photographs of ancient Armenian churches dotting historic Armenia, Khatcherian’s presentation took viewers through Aintab, Kayseri, Tomarza, Marash, Urfa and Van among many others. He spoke about his experience traveling through this region and the difficulties he sometimes faced when trying to gain access to the historic sites. Part of Khatcherian’s goal was to document the destruction of Armenian architectural contributions to Anatolia. On several occasions, he showed older photographs of structures that are no longer intact, including one church that now serves as a karate studio. He also highlighted the restorations of a handful of churches in the region, including the St. Gregory the Illuminator Church in Kayseri and Akhtamar on Lake Van. Khatcherian’s presentation drew applause from the audience, many of whom traced their roots to some of the villages captured in his images. 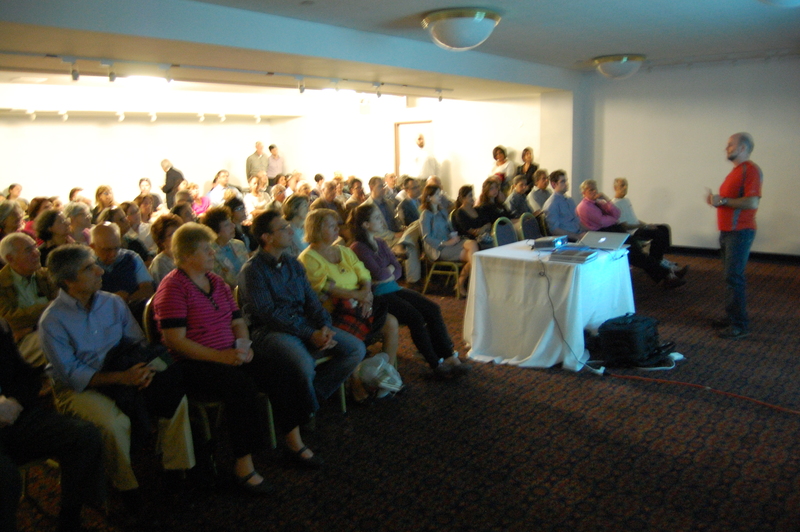 A question-answer session and a wine and cheese reception followed the program. Hosted by the Zohrab Center and the Armenian Network of America, Greater New York Region, the event was the first in a series the Zohrab Center is planning for the coming months. A Fall Mixer for young professionals is scheduled for Thursday, September 16 at 7 p.m. on the plaza of St. Vartan Cathedral. For more information, please contact Taleen Babayan at 212.686.0710 or visit http://www.zohrabcenter.com. We were fortunate enough to see hundreds of photos that Hawk took throughout Ancient Armenia. His knowledge, stories, and bravery must be recognized and commended. He is one of the most inspiring people I have ever met. Check his website if you’re not familiar with his story or work. A job well done to Hawk and the Zohrab team!! I have had the good fortune of working with Hawk. He has become a mentor & friend to me. He is a true inspiration professionally and personally. Yes of course. Best wishes.